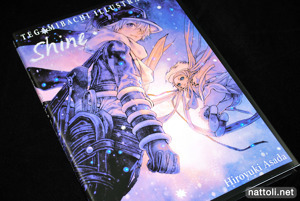 Tegami Bachi, better known as Letter Bee is an ongoing manga by Asada Hiroyuki, and nearly five years after its premiere we have the first art book, Tegami Bachi Illustrations Shine. Undoubtedly, the two season anime version of Letter Bee has helped in making a market for the book, because from an editing stand point, even after so many years there really isn't a lot of content illustration-wise for the series. 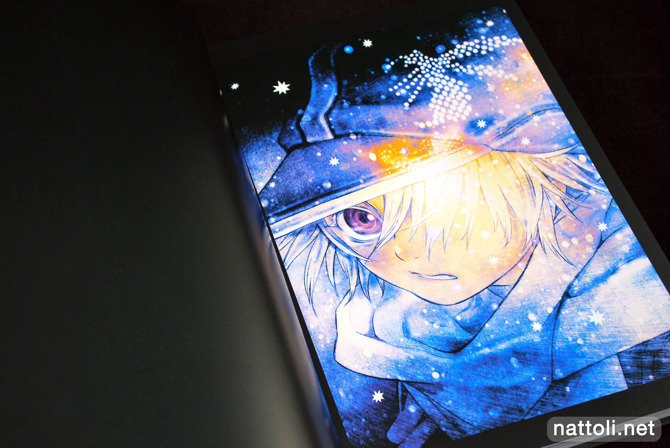 The presentation for Tegami Bachi Illustrations Shine is impressive for its retail price of ￥2667 before tax. 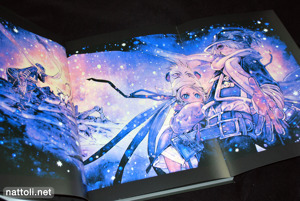 The art book is A4-sized and hardcover with a slip-cover, although the cover art work is also printed in top-notch quality without title text onto the actual cover. All 112-pages are in color, and there are two fold-out posters at the beginning of the art book that share an adjoining page. Going by the index, there are a total of 70 illustrations in the art book, although included in that count are illustrations of the constellation designs. The two-page spread illustrations are printed without overlap and with the tight binding it makes it so just about every illustration that overlaps the book's center looks cut off. And if you're keeping score, twenty-one of the illustrations are affected. That unfortunately includes some vertically oriented illustrations that were printed as spreads for unknown reasons. A lot of the illustrations are printed adjacent to empty black pages, but some of them have designs and words printed black on black. It looks neat when the light catches the pages at the right angle, but I would have rather seen some of those two-page spreads fit to a full page instead. Some of the color panels from the manga are included as well, with the dialogue removed from the speech bubbles except when it's in English. 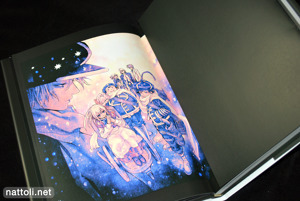 Included at the end of the book is the portrait series used for the Tegami Bachi DVDs. 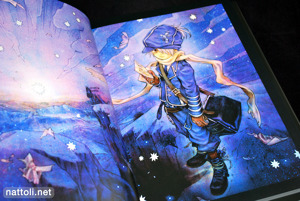 Though there are design aspects of the Tegami Bachi Illustrations Shine art book that I didn't enjoy, the art was never a let down. The art work really has a beautiful atmosphere and coloring that makes it instantly recognizable and the black borders surrounding each piece brought it out even more. Though there could always be more art work, I'm sure most fans of the artist or the series would ultimately enjoy this art book. Well, since I'm a huge fan of Hiroyuki Asada, I'm looking forward his new (original) artbook to be released in May-June, can't wait! 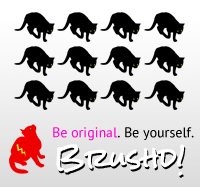 There's a teaser on Letter Bee: Shine's obi.